Driveway Paving NJ | Bergen County Driveway Paving | Riggi Paving INC.
Driveway Paving In New Jersey | Riggi Paving Inc. Preparation and attention to detail are important elements for the paving of a driveway. Even more important is selecting a quality Bergen County paving company. Your driveway is the calling card to your home. It’s functional and it adds curb appeal. As such, you need the driveway to not only be paved, but paved well and Riggi Paving has been paving driveways in Bergen County NJ for over 60 years! It is essential that a driveway is well engineered, a poor job can lead to foundational issues from pooling water to other annoying side effects. There’s durability, a shoddy paving job results in a short lifespan; whereas quality paving should last for years. Likewise, understanding the difference between an overlay and a full redo of the driveway is essential. An overlay or resurface is when asphalt is laid over an existing driveway. If an overlay is what’s needed, this added layer should be at least two inches thick. If the entire driveway is to be replaced, your Bergen County paving contractor will break up the existing driveway and have it removed. Ground surface will then be graded and a new driveway will see asphalt laid on top of a gravel surface. Do your homework, locate a Bergen County paving contractor that has experience and a solid reputation. More often then not something that sounds too good to be true – probably is. 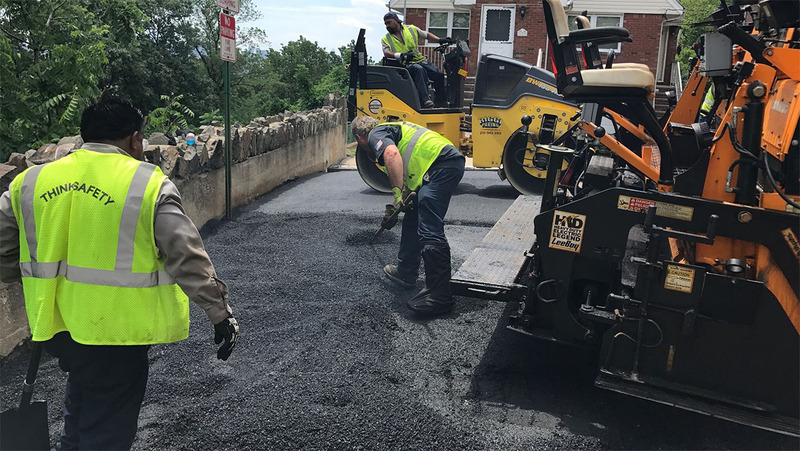 An experienced Bergen County driveway paving contractor is one thing, a paving company that pays attention to detail and quality is another. What sets Riggi Paving apart from the competition? We are proud to offer the highest level of quality, experience and service! Riggi Paving in Bergen County NJ strives to meet the customer’s needs. From the best materials to an unrivaled attention to detail. If you need your driveway repaired or replaced, contact the most reputable Bergen County Driveway Paving Company, Riggi Paving Inc.